Hello Crafty Friends it's a new month and that means Pink and Main's new September releases are here. YAY!! There are a lot of great sets for the upcoming holiday season. Check them out!! 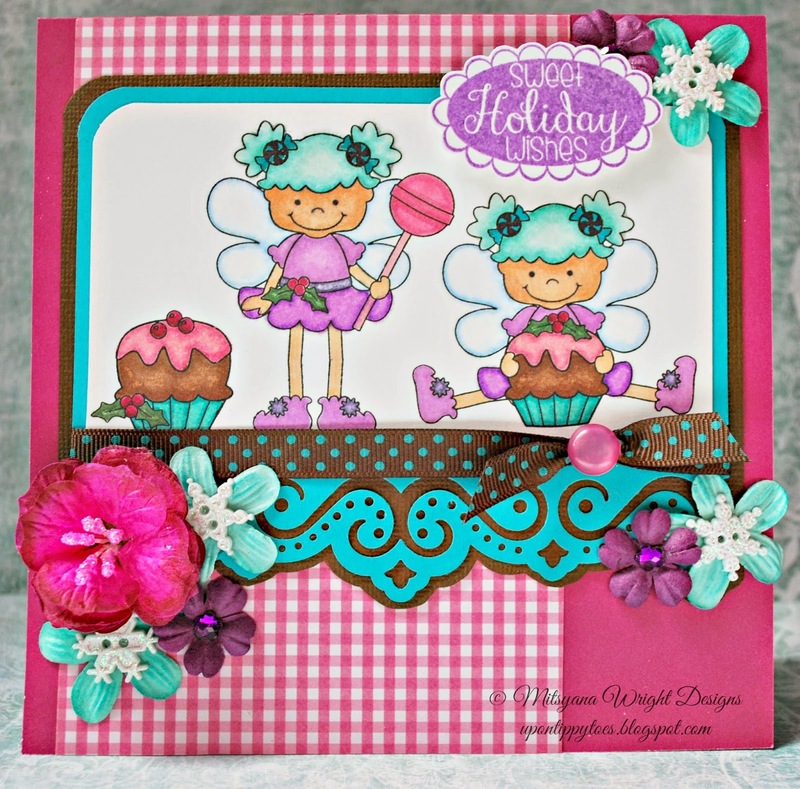 Here I made a cute card using the Sugarplums stamp set! Love those little frosted cupcakes! They are too cute! 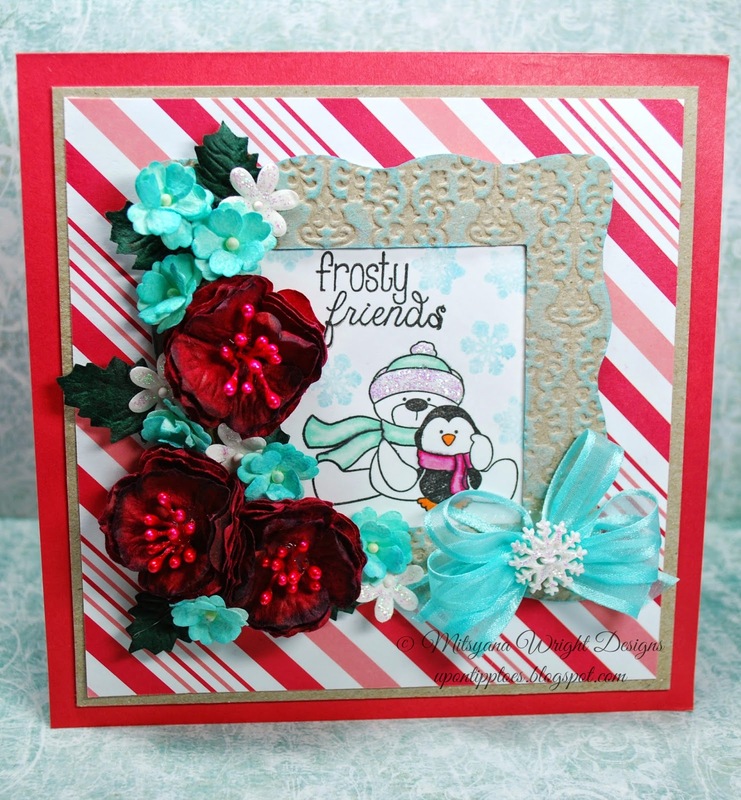 And,you can find the "sweet Holiday wishes" sentiment in the new Cocoa Kisses set. Border punch used is from Recollections. And, all paper flowers are from Prima Marketing. 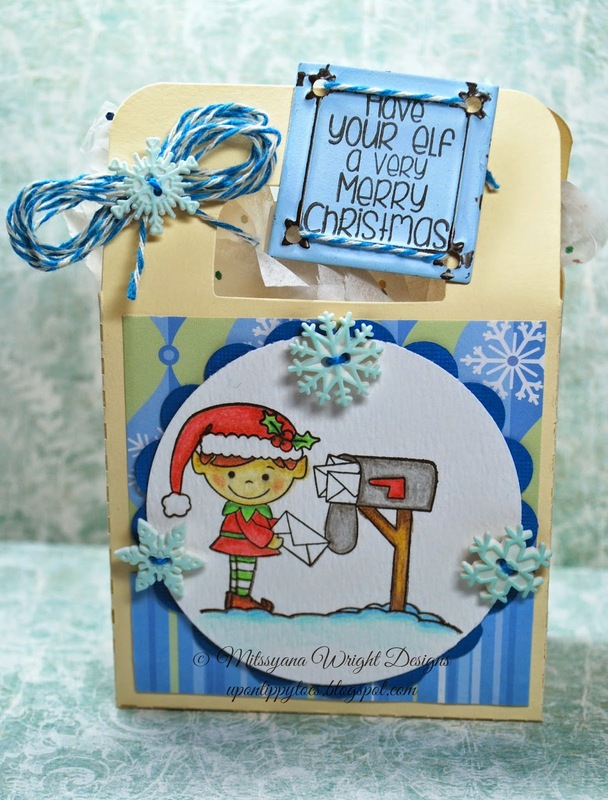 If you like adorable winter puns then you'll love P& M's Santa Mail which I used to make this cute mini gift bag. So do your elf a favor and put this set on your wish list! If you're not too into the whole play on words thing how about some Christmas Quotes? 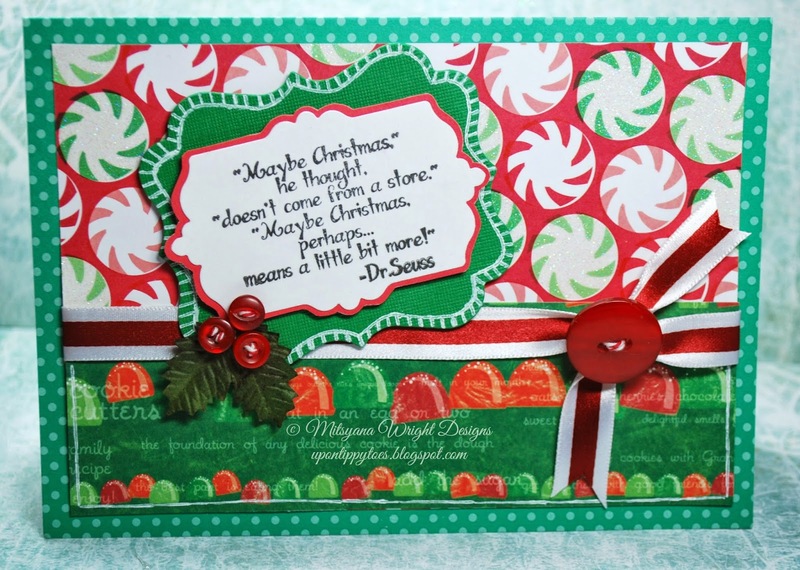 This set includes quotes from your favorite childhood Christmas movies. And, these are only a few of the 9 newly released sets that debuted this month. So head over to Pink and Main and collect them all! !